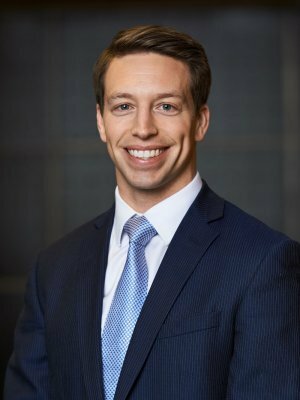 Shaun Sullivan joined Antaeus Wealth Advisors in 2015 and has six years of experience as a financial advisor. Shaun believes that by understanding the goals and objectives of each client, he can better assist them in making prudent and informed decisions about their financial future. Shaun is passionate about working with his clients through all phases of life. His clients range from successful young professionals seeking assistance in balancing their short and long term needs, to established couples that want to confirm that their diligence has paid off, and they are ready to retire. In his leisure time, Shaun enjoys golfing, football, and traveling to his native state of Maine where he can enjoy the outdoors with his Golden Retriever, Preston. Securities offered through Cambridge Investment Research, Inc., a broker-dealer, member of FINRA/SIPC. Advisory services through Cambridge Investment Research Advisors, Inc., a Registered Investment Advisor. Antaeus Wealth is not affiliated with Cambridge Investment Research, Inc. This communication is strictly intended for individuals residing in the states of AL, AZ, CA, CO, CT, DC, FL, GA, IA, IL, IN, KS, KY, LA, MA, MD, ME, MI, MN, MO, NC, NH, NJ, NM, NY, OH, PA, RI, SC, TX, VA, VT and WA. No offers may be made or accepted from any resident outside the specific states referenced. The information being provided is strictly as a courtesy. When you link to any of these web-sites provided herein, Antaeus Wealth makes no representation as to the completeness or accuracy of information provided at these sites. Nor is the company liable for any direct or indirect technical or system issues or any consequences arising out of your access to or your use of third-party technologies, sites, information and programs made available through this site. © 2019 Antaeus Wealth Advisors. All rights reserved.